Saturday is a great day to visit the farmers market at the Marienplatz and get a great photo of the town center in Freising, Bavaria. 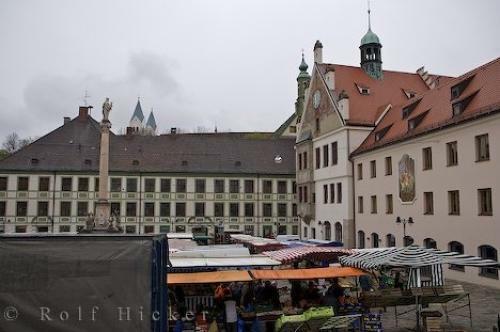 Photo of the market at the Marienplatz in Freising, Bavaria in Germany. ... After spending some time at the Marienplatz, you can tour the city of Freising, Bavaria and take a photo of two of this fascinating German city.Saturday Farmers Market at the Marienplatz in Freising, Bavaria, Germany, Europe. I photographed this photo with the digital SLR camera model Canon EOS-1Ds Mark II, aperture of f/5.6, exposure time of 1/320 sec. on ISO 100, as always I used a original Canon Lens, the focus lenght for this picture was 28mm.